A lineup of three new types of universal counters with high cost performance that features easy-to-use one key, one action, the user-friendly display guide and calculation functions support any application. 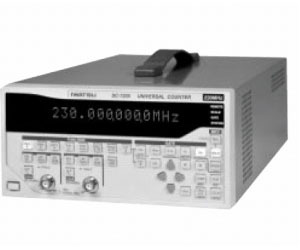 The SC-7207/SC-7206/SC-7205 universal counters provide full capabilities including frequency, period, time interval, pulse width, phase, frequency ratio, duty cycle, event accumulation and peak voltage measuring, with simple operation. They are suitable for R&D and technical training as a basic measuring instrument as well as for production/inspection lines.